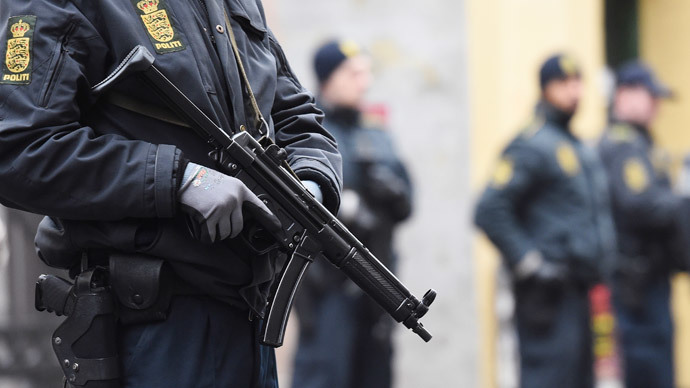 “Denmark will soon be hit by a terror attack that will make what happened on February 14 look like a prank - look forward to it,” the notes said, TV2 Lorry reported on Friday. Police reportedly called the Danish Security and Intelligence Service (PET) for help in addressing the threat. Norgaard, a 55-year-old filmmaker, was killed in Copenhagen when Omar El-Hussein, a 22-year-old Danish-born man, opened fire on a gathering dedicated to freedom of speech and blasphemy. The attacker later killed security guard Dan Uzan at a Copenhagen synagogue and was eventually killed by Danish police in a firefight, which also left several officers injured. The assault was inspired by the massacre of Charlie Hebdo staff in France in January, police said later. Five men have been arrested for allegedly helping the gunman and are currently in custody.